The following is from FOX news’ online post: “Earth could continue to host life for at least another 1.75 billion years, as long as nuclear holocaust, an errant asteroid or some other disaster doesn’t intervene, a new study calculates. I couldn’t help but chuckle at the hubris of this article. 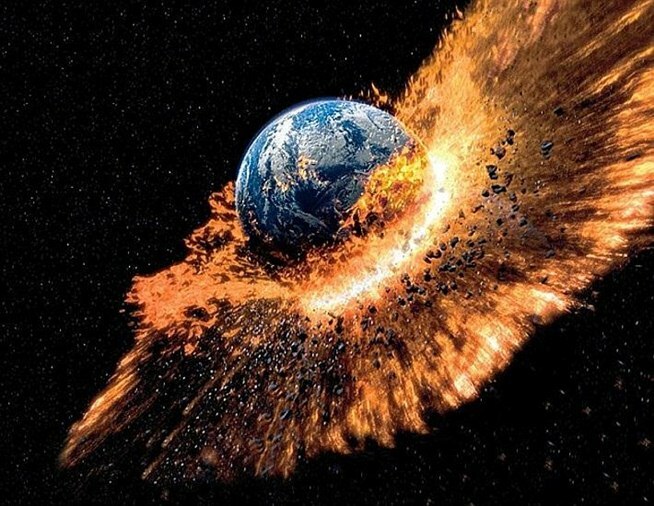 “Earth Expiration Date – Nukes and Asteroids Aside, Planet’s Life Span Set”. Well, you know, they are right. The expiration date of planet earth as we know it has been set, but not by things described in the article. They have been set long ago by Almighty God! No one else knows that time or day, just the Father. But make no mistake: He does know when it will be. Nothing will interfere with it, hinder it, speed it up, or make it not happen. God didn’t want us to know when it will happen – just that it will happen and that if we are wise, we will live like it will take place in the next nanosecond because it could happen then. It may not, but it could. How ready are you for it? Are you ready? Are you confident of your eternal destiny? If not, email me…go visit a pastor or church in your neighborhood and talk with them. Earth does have an expiration date and so do you. There’s no time to waste. PRAYER: God, I pray for all who are not ready for that great day. I pray that You will touch their hearts, open their eyes and allow them to come to faith before the expiration date arrives! In Jesus’ name, Amen.